Want to get swimming sooner? Our SmartMesh cover features a high-tech weave that allows water to pass through while blocking sunlight and filtering debris to 40 microns! Without sunlight, algae can’t grow, so you’ll open your pool to cleaner water in the spring, maintain your pool with greater ease, spend less on chemicals and extend its life. It’s the cutting edge in cover technology … the best choice you can make for your pool! 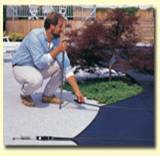 A cover that’s custom-designed for your pool is safer and provides better protection. Our covers are CAD-designed and custom manufactured to accommodate steps, angles, objects and unique configurations without on-site additions that could compromise quality and safety. Our covers work hard, are stronger and look better longer. 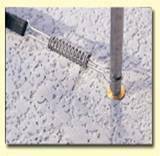 Manufactured completely with American-made materials and components, our covers feature unsurpassed thread and webbing strength, brass anchors and powerful stainless steel tension springs. This technology will protect your pool against the relentless forces of nature as well as the unpredictable nature of children and pets. Our safety covers also feature an ingenious strap and anchor system that allows for easy installation and removal using a specially designed tool. Even with its professional protection, our mesh covers are lightweight, making them easy to install, remove and store. cover is not in use. I think you need to start off with the recognition that no matter what you do there's going to be no guarantee that this is going to solve every specific problem that arises with a given child in a given pool. Since there is no guarantee, the best we can do is to provide layers of protection. Parents should know that adult supervision is the only way to prevent accidents. They should maintain constant contact with children whenever they are near, or could get near, any body of water. Unfortunately, most accidents occur when there is a lapse in supervision, even for a short time. Fencing to isolate the swimming pool at a minimum of four feet high. Safety Covers can be used during the off season to keep kids out of the pool. However you should know that a small child can fall on a safety cover and still drown. Door exit alarms will warn parents when a child opens a door to the pool. 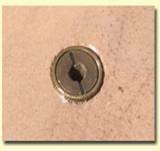 Self-closing/self-latching devices for doors and windows can limit access to pools and spas. Fence gate closer and latch can limit access to pools and spas. Fence gate alarms sound when a fence gate is open. Infrared detectors are wireless detection alarms that sound when the area around the pool perimeter is entered. Pool Alarms sound when there is accidental or unauthorized entrance into the water. Child Alarms can be attached to children and indicates when that child has entered the pool. Rope and Float lines should be placed across the pool, alerting swimmers to the separation of the deep end from the shallow end of the pool. Rescue equipment(Life ring, Shepherd's hook) should be placed near the pool in an easily accessible spot, and should be kept in good condition. These can be used to pull someone in trouble to safety. Posted emergency information should be posted near the pool, or spa. Examples include: CPR instructions, warning signs, emergency phone numbers. Outside telephones means parents don't have to leave children unattended while they answer the phone. Also, it's a good idea to have one handy to summon help, if needed. I can not state enough, the only true form of protection is constant adult supervision. Chemicals needed for clean, sanitized water can be extremely harmful and dangerous when stored or used improperly. Keep all chemicals out of reach of children and pets. It is a good idea to keep them locked up. Chemical agents for test kits should be replaced each year. Keep the original lids on all chemical containers and make sure the lids are closed tightly when not in use. Do not stack different chemicals on top of one another. Store chemicals in a cool, dry, well ventilated area preferably off the floor. Do not store your pool chemicals where other flammable items may mix with them. Always add chemicals to water-never add water to chemicals. When mixing chemicals with water always use a clean bucket that has not been used to store chemicals in the past. Never mix chemicals with other chemicals. Wear safety gear when handling chemicals. Do not inhale chemical fumes, this can cause unconsciousness, and severe injury. Not following these guidelines can result in Fire, Explosion, severe injury and even death. Please be careful with pool chemicals.